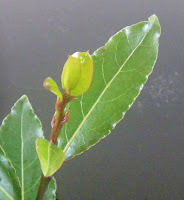 I've been raised in Europe and Bay Laurel (Dafin) was one of the native scented herbs which was flavored my mom's dishes. 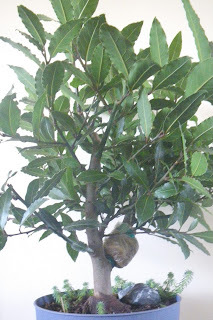 Continuing tradition, now I have my own edible Laurel tree in my kitchen, an ornamental four year old plant and I use its leaves to flavor meat dishes, fish and sea foods, tomatoes soup and to make teas. 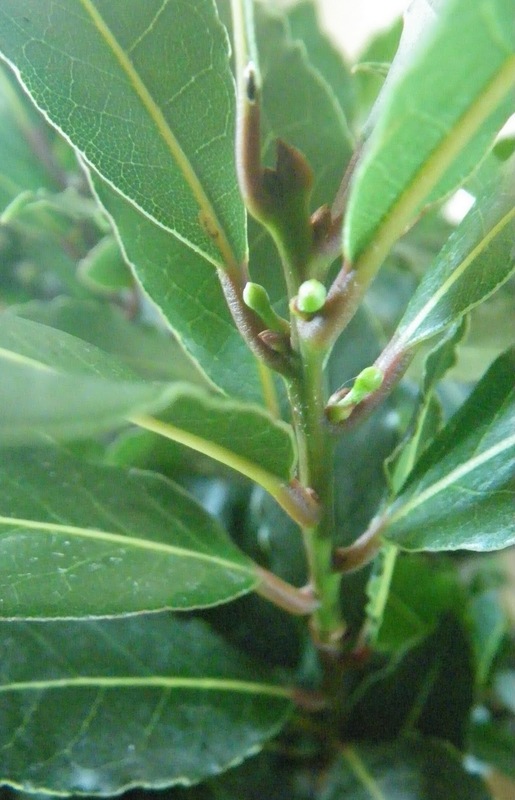 The leaves from the bay tree can be harvested all year when are 6-12 cm long and 2-4 cm broad. Fresh leaves are very mild and are developing their real flavor several weeks after picking and drying. If you pick bay leaves early in the day, dry out in a dark place and store in an air-tight jar, the dried bay leaves will keep their flavor for up to a year. Usually, this large shrub / tree has a lot of branches, and can reach more than 10 meters tall, if left untrimmed. My Laurel Tree has only 60 cm high. As you know, I like bonsai and aromatic plants, so, I've been molded my edible tree as a bonsai. Is still planted in a big pot (2 gallons) and twice a year I trimmed back the long roots and the branches. 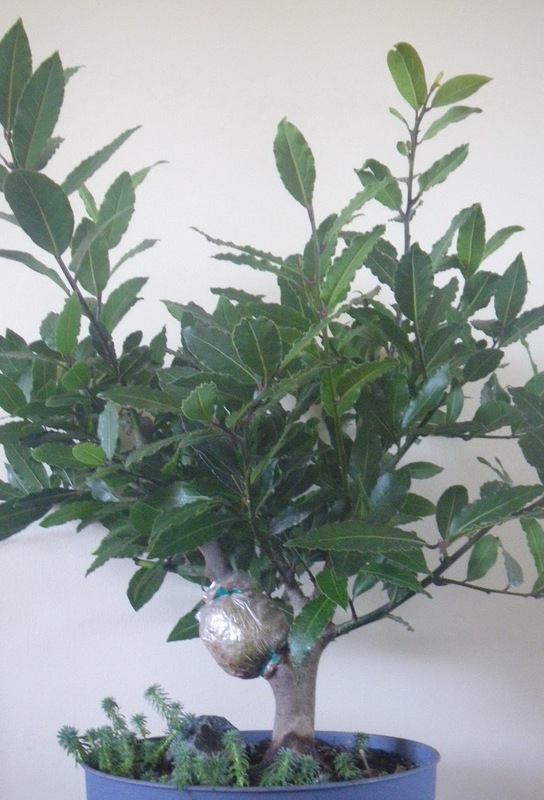 Laurel tree has clusters of small yellow flowers followed by black or dark purple berries. In this summer I let few branches to grow free and now have few flower buds. I'm so curious to see how is blooming. Known as Laurel by the Greeks who wore it as a garland round their heads, other names for this Mediterranean tree are Bay Laurel, Laurus Nobilis, True Laurel, Sweet Bay, Laurel Tree, Grecian Laurel, Dafin. 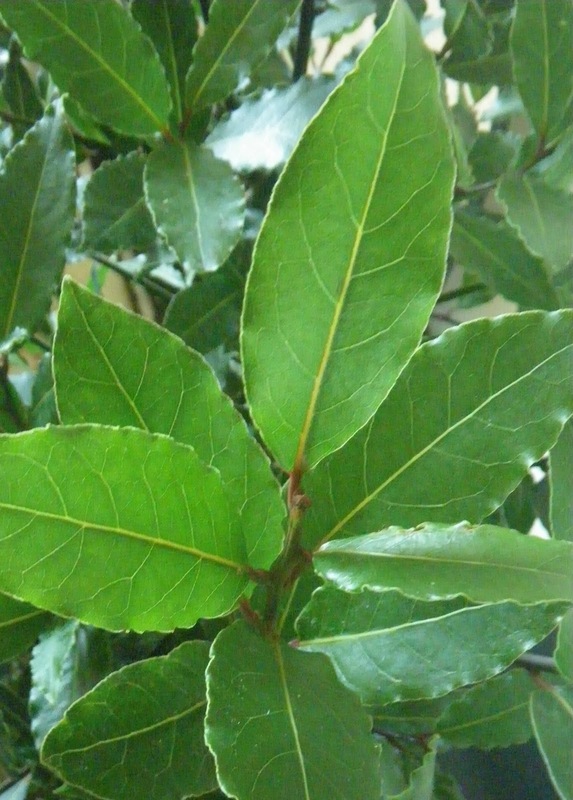 Herb of the Year in 2009, source of the word Baccalaureate (laurel berry), a wreath made from the laurel/bay symbolizes victory or accomplishment and became a mark of excellence or a symbol of wisdom for athletes and poets. ‘Laureate’ means crowned with laurels. In the Bible, the sweet-bay is often an emblem of prosperity and fame. In the Greek mythology, the roof of Apollo's temple was made of bay leaves, primarily to protect against disease, lightning and witchcraft. If you crush a fresh bay leaf with your hands and smell it, you’ll quickly understand why it is the most widely used culinary herb: his spice leaf is a mix of highly fragrant and aromatic notes of cinnamon, cloves, nutmeg, lemon and vanilla. The younger leaves are light green, thinner and not as flavored. For the full flavor it is best to use the more mature leaves. 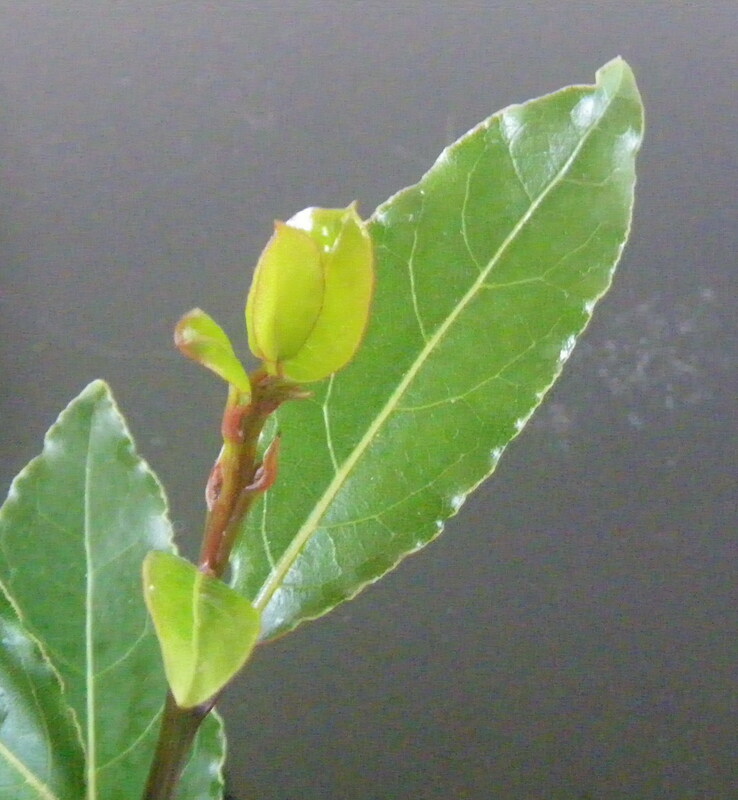 In the world are many varieties of bay trees, not all of them are edible: Turkish, Indian (Tajpeta), Indonesian and Californian (West Indian) bay leaf, varying in the flavor and appearance. The bay leaves flavor is characteristic in many cuisines: Greek, French, Italian, Spanish, Romanian, Turkish, German, Cuban, Scandinavian, Brazilian. The fresh bay leaf immediately starts to release its essential oils and flavour as soon as it is added to the dishes, and if you wish to experience something with an unique flavor, try a cup of fresh bay leaf tea with 2 pieces of lemon - the taste is really wonderful! From old times is said that bay leaf infusion aid in digestion, relieve headaches and arthritis pains and in getting a good night’s rest. I tested first two theories, you should test it too, and you'll notice their medicinal properties. My Bayleaf tree is Greek Laurel variety. There are three methods of propagating bay - sowing seeds, taking cuttings and layering branches. I read that it is very difficult to propagate by cuttings but I planted anyhow, in April, few shoots 15 cm long and I layered one big branch. The cuttings looks good and the layered branch has new shoots, but because will root after one year or so, I'm still waiting the result. 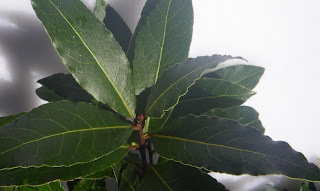 Until then, my Laurus Nobilis tree grows slowly but surely with his shiny, dark green leaves, beautiful to look and aromatic to cook. A bay laurel bonsai. Now that's an idea. I confess that I never learned to cook with bay. But I am considering where to keep some dwarf trees for things we like. I have a dwarf lemon. A greenhouse is on the master plan, but that may not be for a very long time. Thanks for the informative post. Wonderfully informative. Thank you for sharing your knowledge and pictures! It was really helpful in my search for bay and how to grow it. I wanted to know about the tree limbs are they any good for medicinal properties? I kept some and when they dried I broke them in two & it had aromatic smell.